Laurel Oaks is one of the newest communities in the Freeport area! 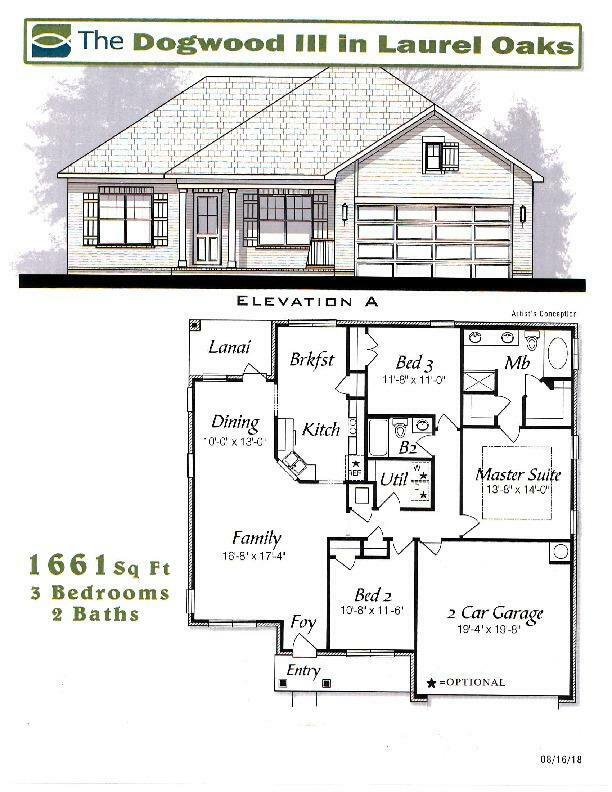 Our Dogwood III floor plan has 1661 sq.ft. with 3 bedrooms and 2 baths. Brick exterior, low e-vinyl windows, covered entry, covered back patio, 2 car garage, and landscaping package with automatic sprinkler system are just a few of the exterior finishes on the home. Interior finishes include 9 ft ceilings, laminate, tile, and carpet floor coverings, brushed nickel fixtures, double vanity and walk-in closet in the master bath, and granite counter tops. Some of the upgrades include cased windows and crown molding in most of the home, a trey ceiling in the Master Bedroom, a tiled shower and tub deck in the Master Bath, and a fenced-in back yard.